Schedule Service Schedule Service Today! 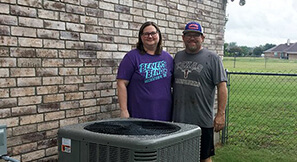 A free service call with HVAC repairs. Real 24/7 service (we actually answer the phone outside of business hours). Text and/or email booking confirmation and a reminder of your booking one day before the appointment. Technicians that call when in route and GPS tracking to your front door. Your heating, cooling, indoor air quality, and home performance systems are some of the most important systems in your home—make sure you give them quality care with our expert staff. 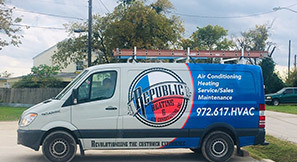 If you’re searching for HVAC services in Dallas then make sure to contact our specialists at Republic Heating & Air Conditioning, Inc.. Revolutionizing the Customer Experience. We’re known for our hot, humid summers here in Dallas. If you don’t have the right air conditioning system in place to keep you cool, you might as well not have any air conditioning at all. 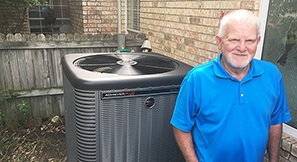 If you need an upgrade, a brand-new system, AC repair services, or maintenance, we’re the team to call. We’re not notorious for our cold winters here in Dallas, but that doesn’t mean that you don’t need a great heating system on your side anyway. Our technicians are trained, certified, and experienced so that they can provide you with the best service possible that will keep you warm all winter long. If you want quality heating, cooling, or indoor air quality in your home, the first step is a sound structure. If you have leaky ducts or poor insulation, you’ll never receive the full benefit of any HVAC system you have in your space. We provide the best duct sealing and insulation services in The Greater Dallas Area to keep you comfortable year-round. 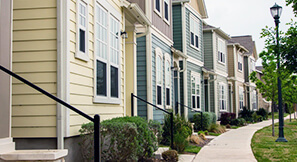 It’s hard to maintain high indoor air quality. There are so many factors that bring it down like pet dander, pollen, airborne bacteria, and viruses. 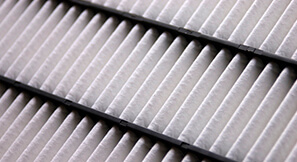 If you want to keep your indoor air quality high, we have the right systems to aid you. We have air filtration systems, humidifiers, dehumidifiers, HRV, and ERV systems to help you breathe easy. Once you have a great HVAC system in your home, the best thing you can do is maintain it properly. We have thorough maintenance services at our company. When you join our Ultimate Service Agreement, you’ll get two precision maintenance tune-ups, a 15% discount on repair services, and a 10% discount on all equipment replacement. Contact our team today to learn more. We'll regularly post energy saving tips, how-to's on troubleshooting your systems, and breakdowns on even the most complex industry related terms and concepts.